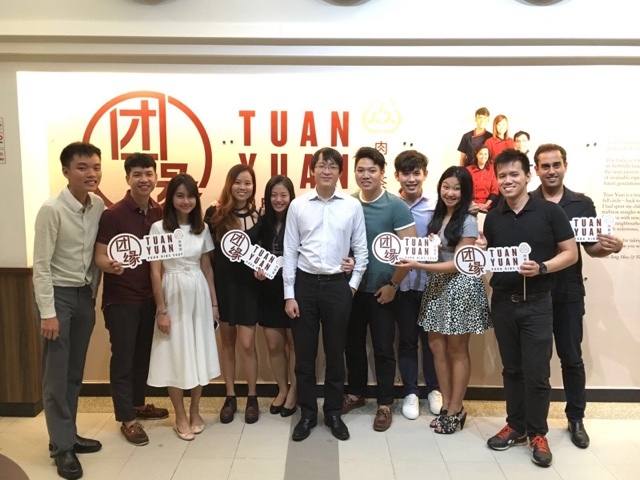 Welcoming the new player in the bak kut teh heat is 团缘 or Tuan Yuan. Located right in the midst of the peaceful yet centralized neighbourhood in Tiong Bahru, Tuan Yuan caters to both the residents as well as the adventurous foodies. So how did the name 团缘 came about? We hear from the boss of the restaurant that it actually has several meanings behind it. One of which would be that he wish to bring families together to enjoy a sumptuous meal, whereas the other is because its current location is where the family used to stay many years back. This brings back fond memories of my childhood as well, since I grew up in Kim Tian Road. I can sense your eagerness to read on hence, enough of the history and let's get down to the main reason why you're reading this. The Food Critic! The parents of the boss is actually the founders of Outram Park Ya Hua Rou Gu Cha at PSA Tanjong Pagar (7 Keppel Road). Remember those times where I'd just have to walk across my office for some hot pepperish soup for lunch. Most of you should be very familiar with this household brand and have tried their famous peppery bak kut teh. Here at Tuan Yuan, you can choose the level of pepper you would like in your soup. What's more? They would be more than happy to top up your soup bowls as much as you can drink. 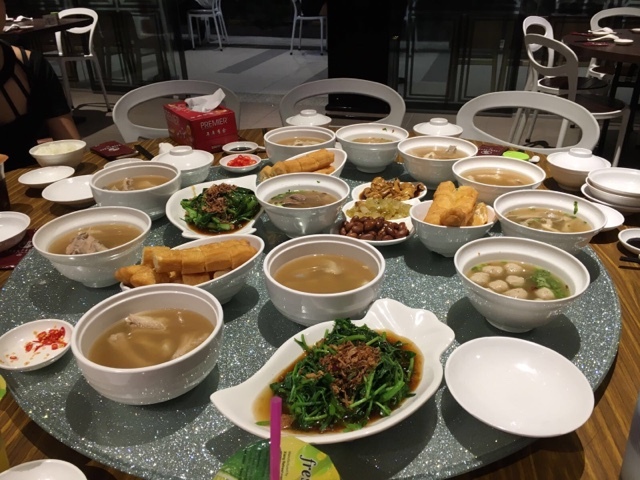 We ordered quite a few varieties of dishes, from the pork ribs soup, to pork kidney and liver soup to the pig's tail and pig's trotters soup. Not for the faint hearted, their soup broth is infused with the family's secret recipe of mixed herbs and of course the PEPPER and garlic that is simmered in the soup for hours to produce the perfect bak kut teh soup. I am not bootlicking at all. The you tiao was freshly fried and cut even at this hour of the night (I was there at around 8-9pm) and the pigs organs soup were just nicely cooked so that they remain tender and chewy wherever necessary. I ordered the braised pigs trotters which was not in the picture as it has always been my determining factor for a good bak kut teh place. Since they should be also fair well in their complementing dishes. I was not disappointed. The braised soy meat was not overwhelming and the most important part which is the collagen-rich skin was every bit juicy and fats were oblivious. For the ladies who love your pig's trotters, here's the place to satisfy your craving. 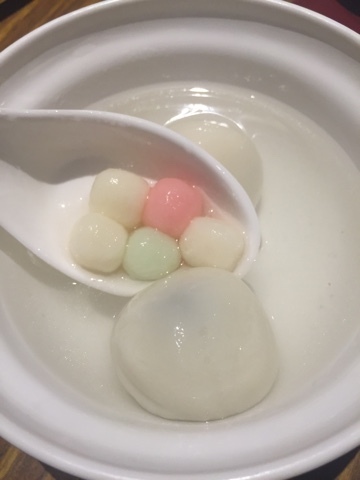 We had a free bowl tang yuan from the courtesy of the boss thanks to the boss at our table! Service here deserves to be complimented. We had an enjoyable meal because the staffs were attentive to every of our requests which is a rare find. Perhaps it was because there was less crowd when we were dining or because we were too noisy not to notice. Nevertheless, it was definitely worth the visit. Prices are reasonable, pretty much the same as what you pay for Song Fa Bak Kut Teh. Photo above was taken outside the restaurant after our stomachs were satisfied. But if you like the rich pepperish taste in your soups, Tuan Yuan is the place to go. Furthermore, they will be opening till 3am come 1 March onwards. Now you know where to go for supper if you're running out of ideas!